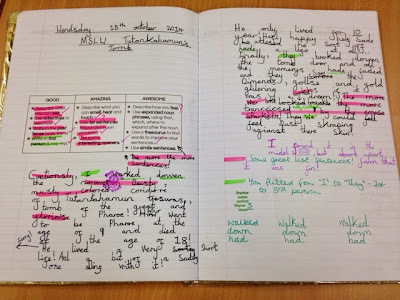 In recent weeks, there have been a couple of blog posts (from Alex and Jon) about the use of highlighters in school. Reading these made me think about my use of highlighters so I decided to go on a highlighter hunt in books for how both the children and I use them to have an impact on learning. I was completely surprised by how much they are used in my classroom so here are some examples of what I've found they can help with. I have written previously about how I have tried to help children sort out there sentences. 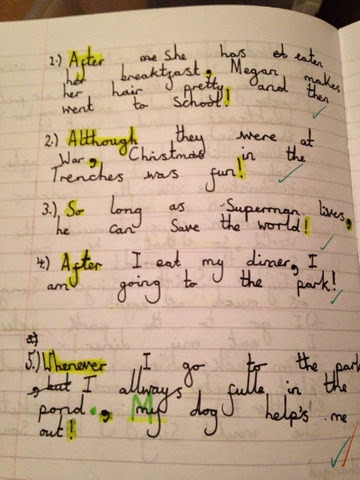 Below, you can see how the child has serious errors in their sentences. 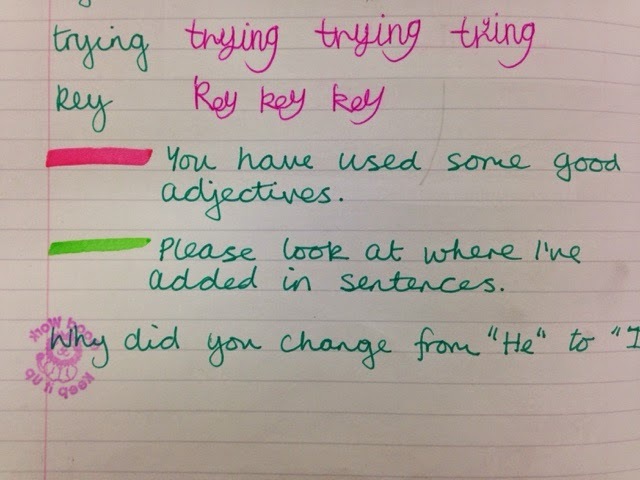 Using the highlighters to indicate a change of sentence makes it very clear. 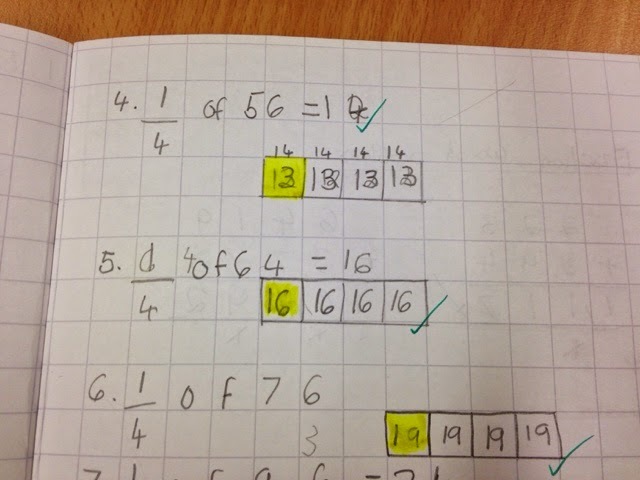 The pupil can then re-write the work in the correct structure. For more information about how I tackle ingrained misconceptions about sentences, please click here. 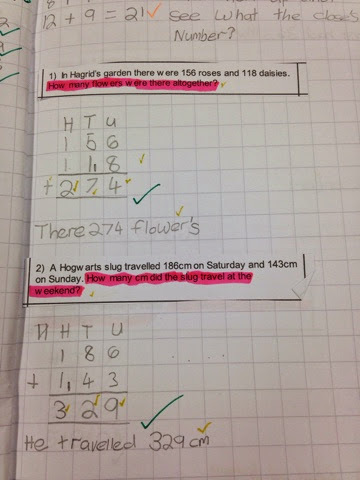 I know often teachers ask children to highlight the information in work problems. I get children to highlight the question as many times children have done the working out right but have chosen the wrong piece of information for the answer. This helps them answer the actual question they are being asked. 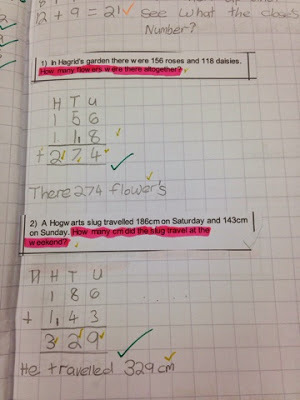 The children also use highlighters in their workings out. As a school, we use thinking blocks to help children visualise mathematics. Sometimes, it is necessary to colour some blocks so using highlighters is much quicker than colouring in or shading. 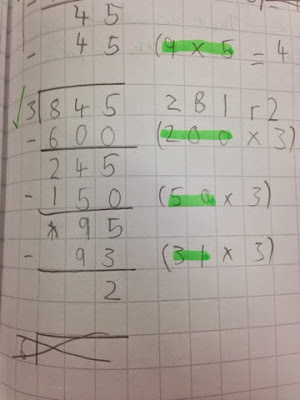 The child below is finding fractions of a number so she has used highlighter to indicate the amount which showing her understanding of the maths concept. 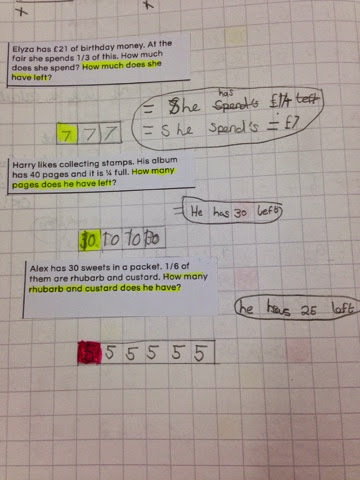 Here you can see highlighters used in fraction word problems and the calculation of the answers. Here, highlighters help the children locate where the answer is in their working-out notes. When using subordinating conjunctions at the beginning of sentences, children often forget the comma. I can't remember whether this highlighting was done by a peer or the children themselves but it has helped to highlight the important parts of the sentence: conjunction at the beginning, comma after the clause and ending punctuation. 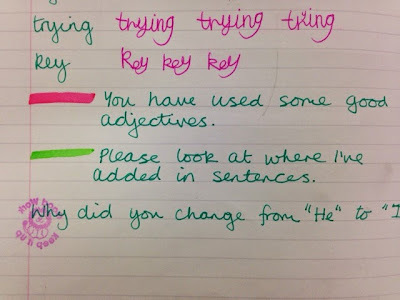 This serves two main purposes; it helps the children do corrections if they have missed elements and it highlights the key learning so it's easier for me to mark. 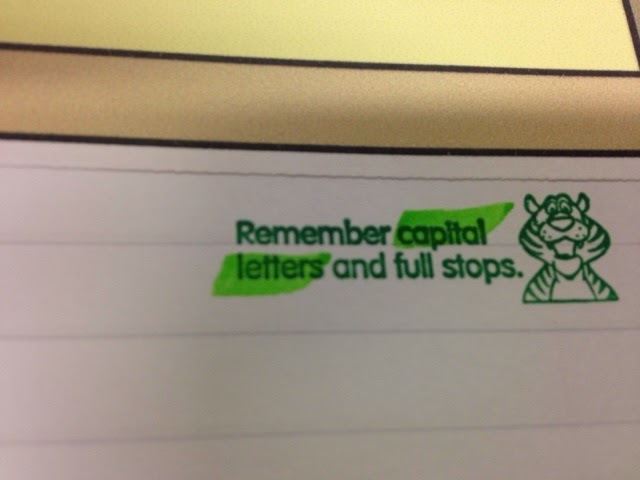 I have a few stampers which give different options - highlighters make it clear which part refers to the work. 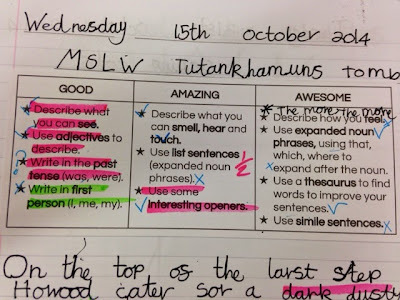 Our success criteria is organised into Good/Amazing/Awesome and I have a stamp to indicate that a child needs to remember Capital Letters or Full Stops. You can see these highlighted below. For children who can read and understand my comments, highlighters help me in explanations of their misconceptions. Below, I have written out the calculation and the highlighter has helped me focus her attention on her target. 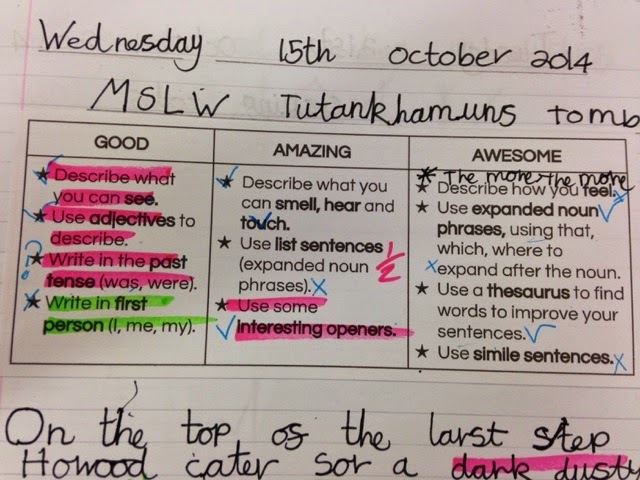 Many primary schools use this: Pink = Tickled Pink = Evidence of great work Green = Growth = Things to improve. 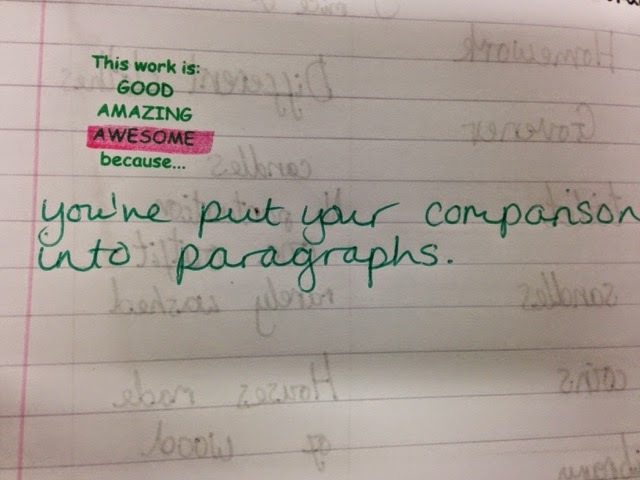 As you can see from the photos below, I use this across their work and on our success criteria which is titled Good / Amazing / Awesome (inspired by Ian). 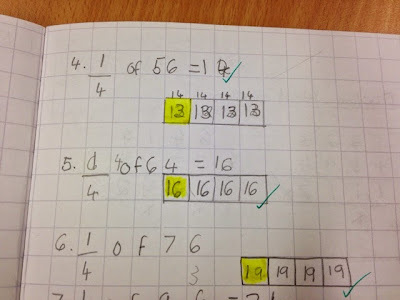 Sometimes I provide corrections for the green areas but often it is the child's job to correct their work. 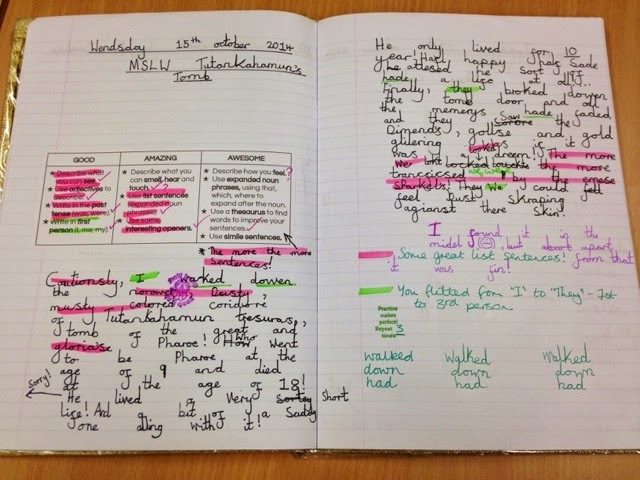 A simple pink or green mark near the end is accompanied by a comment to show an overall assessment of their work. I use highlighters - but judging by this post, I'm not using them to their full potential! I've often given students copies of 'wordy' questions and asked them to highlight key subject-specific vocabulary and command words. Getting students to improve their mathematical communication by adding in notes, headings etc is always a struggle, especially on longer, multi-stage problems. After looking at your students' work, I think I might ask mine to do some highlighting to show steps in their calculations (with the aim of seeing whether the steps are in order) and the corresponding comments (to highlight whether there is a comment/heading to explain each step). Hi there loving this blog (just discovered it) where did you get the grids from please - the good, amazing awesome ones please.